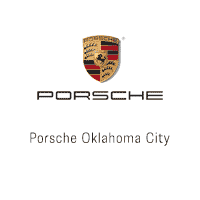 **Porsche Oklahoma City**, New Tires, Leather, Local Trade, Bose. Bob Moore Auto Group has been a family owned company since the 1950's, founded with the guiding principles of hard work, great customer service, honesty and respect. Our mission is to be a people focused company that values our customer relationships above all. We know you have expectations, and as a car dealer we enjoy the challenge of not only meeting them, but exceeding those standards each and every time. Allow us to demonstrate our commitment to excellence by logging in to Bobmooreporsche.com or call us at (877) 740-8005. **Porsche Oklahoma City**, 4WD/AWD, Sunroof, Leather, Back up Camera, Local Trade, Black w/Full Leather Seat Trim. Bob Moore Auto Group has been a family owned company since the 1950's, founded with the guiding principles of hard work, great customer service, honesty and respect. Our mission is to be a people focused company that values our customer relationships above all. We know you have expectations, and as a car dealer we enjoy the challenge of not only meeting them, but exceeding those standards each and every time. Allow us to demonstrate our commitment to excellence by logging in to Bobmooreporsche.com or call us at (877) 740-8005. Priced below KBB Fair Purchase Price! **Porsche Certified Pre-Owned**2 Year/Unlimited Warranty**, **Porsche Oklahoma City**, *PDK*, Navigation, 4WD/AWD, Panoramic Sunroof, Leather, Heated Seats, Bluetooth, Back up Camera, One Owner, XM Radio, Bose. Porsche Approved Certified Pre-Owned Details: * Roadside Assistance * Transferable Warranty (between private parties) * 111 Point Inspection * Warranty Deductible: $0 * 2 year/Unlimited miles beginning after new car warranty expires or from certified purchase date. Includes Trip Interruption reimbursement Bob Moore Auto Group has been a family owned company since the 1950's, founded with the guiding principles of hard work, great customer service, honesty and respect. Our mission is to be a people focused company that values our customer relationships above all. We know you have expectations, and as a car dealer we enjoy the challenge of not only meeting them, but exceeding those standards each and every time. Allow us to demonstrate our commitment to excellence by logging in to Bobmooreporsche.com or call us at (877) 740-8005. **Porsche Certified Pre-Owned**2 Year/Unlimited Warranty**, **Porsche Oklahoma City**, Navigation, 4WD/AWD, Panoramic Sunroof, Leather, Heated Seats, One Owner, XM Radio, Bose, AWD, Luxor Beige w/Partial Leather Seat Trim. Porsche Approved Certified Pre-Owned Details: * 2 year/Unlimited miles beginning after new car warranty expires or from certified purchase date. Includes Trip Interruption reimbursement * 111 Point Inspection * Transferable Warranty (between private parties) * Roadside Assistance * Warranty Deductible: $0 Bob Moore Auto Group has been a family owned company since the 1950's, founded with the guiding principles of hard work, great customer service, honesty and respect. Our mission is to be a people focused company that values our customer relationships above all. We know you have expectations, and as a car dealer we enjoy the challenge of not only meeting them, but exceeding those standards each and every time. Allow us to demonstrate our commitment to excellence by logging in to Bobmooreporsche.com or call us at (877) 740-8005. **Porsche Certified Pre-Owned**2 Year/Unlimited Warranty**, **Porsche Oklahoma City**, Navigation, 4WD/AWD, Leather, Bluetooth, One Owner, XM Radio, Bose, Black w/Leather Seat Trim, ABS brakes, Alloy wheels, DVD-Audio, Electronic Stability Control, Front dual zone A/C, Heated door mirrors, Illuminated entry, Low tire pressure warning, Navigation System, Power Liftgate, Remote keyless entry, Traction control. Porsche Approved Certified Pre-Owned Details: * Roadside Assistance * Transferable Warranty (between private parties) * 111 Point Inspection * 2 year/Unlimited miles beginning after new car warranty expires or from certified purchase date. Includes Trip Interruption reimbursement * Warranty Deductible: $0 Bob Moore Auto Group has been a family owned company since the 1950's, founded with the guiding principles of hard work, great customer service, honesty and respect. Our mission is to be a people focused company that values our customer relationships above all. We know you have expectations, and as a car dealer we enjoy the challenge of not only meeting them, but exceeding those standards each and every time. Allow us to demonstrate our commitment to excellence by logging in to Bobmooreporsche.com or call us at (877) 740-8005. **Porsche Oklahoma City**, *PDK*, Navigation, 4WD/AWD, Premium Package Plus, Luxor Beige w/Two-Tone Smooth-Finish Leather Seat Trim, ABS brakes, Alloy wheels, DVD-Audio, Electronic Stability Control, Front dual zone A/C, Heated door mirrors, Illuminated entry, Low tire pressure warning, Navigation System, Power Liftgate, Remote keyless entry, Traction control. Porsche Approved Certified Pre-Owned Details: * Roadside Assistance * 2 year/Unlimited miles beginning after new car warranty expires or from certified purchase date. Includes Trip Interruption reimbursement * Warranty Deductible: $0 * Transferable Warranty (between private parties) * 111 Point Inspection Bob Moore Auto Group has been a family owned company since the 1950's, founded with the guiding principles of hard work, great customer service, honesty and respect. Our mission is to be a people focused company that values our customer relationships above all. We know you have expectations, and as a car dealer we enjoy the challenge of not only meeting them, but exceeding those standards each and every time. Allow us to demonstrate our commitment to excellence by logging in to Bobmooreporsche.com or call us at (877) 740-8005. Priced below KBB Fair Purchase Price! **Porsche Oklahoma City**, *PDK*, Navigation, 4WD/AWD, Sunroof, Leather, Heated Seats, Bluetooth, Back up Camera, Local Trade, One Owner, XM Radio, Bose, ABS brakes, Alloy wheels, DVD-Audio, Electronic Stability Control, Front dual zone A/C, Heated door mirrors, Illuminated entry, Low tire pressure warning, Porsche Communication Management, Power Liftgate, Remote keyless entry, Traction control. Bob Moore Auto Group has been a family owned company since the 1950's, founded with the guiding principles of hard work, great customer service, honesty and respect. Our mission is to be a people focused company that values our customer relationships above all. We know you have expectations, and as a car dealer we enjoy the challenge of not only meeting them, but exceeding those standards each and every time. Allow us to demonstrate our commitment to excellence by logging in to Bobmooreporsche.com or call us at (877) 740-8005. **Porsche Certified Pre-Owned**2 Year/Unlimited Warranty**, **Porsche Oklahoma City**, Navigation, 4WD/AWD, Panoramic Sunroof, Leather, Heated Seats, Bluetooth, Back up Camera, One Owner, XM Radio, Bose, ABS brakes, Alloy wheels, DVD-Audio, Electronic Stability Control, Front dual zone A/C, Heated door mirrors, Illuminated entry, Low tire pressure warning, Navigation System, Power Liftgate, Remote keyless entry, Traction control. Porsche Approved Certified Pre-Owned Details: * Warranty Deductible: $0 * 2 year/Unlimited miles beginning after new car warranty expires or from certified purchase date. Includes Trip Interruption reimbursement * Roadside Assistance * 111 Point Inspection * Transferable Warranty (between private parties) Bob Moore Auto Group has been a family owned company since the 1950's, founded with the guiding principles of hard work, great customer service, honesty and respect. Our mission is to be a people focused company that values our customer relationships above all. We know you have expectations, and as a car dealer we enjoy the challenge of not only meeting them, but exceeding those standards each and every time. Allow us to demonstrate our commitment to excellence by logging in to Bobmooreporsche.com or call us at (877) 740-8005. **Porsche Certified Pre-Owned**2 Year/Unlimited Warranty**, **Porsche Oklahoma City**, Navigation, 4WD/AWD, Sunroof, Leather, Heated Seats, Bluetooth, Back up Camera, One Owner, XM Radio, Bose, Black w/Leather Seat Trim w/Alcantara, ABS brakes, Alloy wheels, DVD-Audio, Electronic Stability Control, Front dual zone A/C, Heated door mirrors, Illuminated entry, Low tire pressure warning, Navigation System, Power Liftgate, Remote keyless entry, Traction control. Porsche Approved Certified Pre-Owned Details: * Warranty Deductible: $0 * 2 year/Unlimited miles beginning after new car warranty expires or from certified purchase date. Includes Trip Interruption reimbursement * Roadside Assistance * 111 Point Inspection * Transferable Warranty (between private parties) Bob Moore Auto Group has been a family owned company since the 1950's, founded with the guiding principles of hard work, great customer service, honesty and respect. Our mission is to be a people focused company that values our customer relationships above all. We know you have expectations, and as a car dealer we enjoy the challenge of not only meeting them, but exceeding those standards each and every time. Allow us to demonstrate our commitment to excellence by logging in to Bobmooreporsche.com or call us at (877) 740-8005. **Porsche Oklahoma City**, Navigation, Leather, Heated Seats, ***Extremely Low Miles! ***, ***Rare Manual Transmission***, ABS brakes, Alloy wheels, Electronic Stability Control, Heated door mirrors, Illuminated entry, Leather Seat Trim, Low tire pressure warning, Navigation System, Remote keyless entry, Traction control. Bob Moore Auto Group has been a family owned company since the 1950's, founded with the guiding principles of hard work, great customer service, honesty and respect. Our mission is to be a people focused company that values our customer relationships above all. We know you have expectations, and as a car dealer we enjoy the challenge of not only meeting them, but exceeding those standards each and every time. Allow us to demonstrate our commitment to excellence by logging in to Bobmooreporsche.com or call us at (877) 740-8005. **Porsche Certified Pre-Owned**2 Year/Unlimited Warranty**, **Porsche Oklahoma City**, *PDK*, Navigation, Sunroof, Leather, Heated Seats, Bluetooth, Back up Camera, One Owner, XM Radio, Bose. Porsche Approved Certified Pre-Owned Details: * Warranty Deductible: $0 * 111 Point Inspection * 2 year/Unlimited miles beginning after new car warranty expires or from certified purchase date. Includes Trip Interruption reimbursement * Roadside Assistance * Transferable Warranty (between private parties) Bob Moore Auto Group has been a family owned company since the 1950's, founded with the guiding principles of hard work, great customer service, honesty and respect. Our mission is to be a people focused company that values our customer relationships above all. We know you have expectations, and as a car dealer we enjoy the challenge of not only meeting them, but exceeding those standards each and every time. Allow us to demonstrate our commitment to excellence by logging in to Bobmooreporsche.com or call us at (877) 740-8005. Priced below KBB Fair Purchase Price! **Porsche Oklahoma City**, *PDK*, Navigation, Panoramic Sunroof, Leather, Heated Seats, Bluetooth, Back up Camera, XM Radio, Bose. Bob Moore Auto Group has been a family owned company since the 1950's, founded with the guiding principles of hard work, great customer service, honesty and respect. Our mission is to be a people focused company that values our customer relationships above all. We know you have expectations, and as a car dealer we enjoy the challenge of not only meeting them, but exceeding those standards each and every time. Allow us to demonstrate our commitment to excellence by logging in to Bobmooreporsche.com or call us at (877) 740-8005. **Porsche Certified Pre-Owned**2 Year/Unlimited Warranty**, **Porsche Oklahoma City**, Navigation, 4WD/AWD, Sunroof, Leather, Heated Seats, Back up Camera, One Owner, XM Radio, Bose, Agate Gray w/Leather Seat Trim. Porsche Approved Certified Pre-Owned Details: * Warranty Deductible: $0 * Transferable Warranty (between private parties) * 111 Point Inspection * Roadside Assistance * 2 year/Unlimited miles beginning after new car warranty expires or from certified purchase date. Includes Trip Interruption reimbursement Bob Moore Auto Group has been a family owned company since the 1950's, founded with the guiding principles of hard work, great customer service, honesty and respect. Our mission is to be a people focused company that values our customer relationships above all. We know you have expectations, and as a car dealer we enjoy the challenge of not only meeting them, but exceeding those standards each and every time. Allow us to demonstrate our commitment to excellence by logging in to Bobmooreporsche.com or call us at (877) 740-8005. **Porsche Certified Pre-Owned**2 Year/Unlimited Warranty**, **Porsche Oklahoma City**, *PDK*, Navigation, Sunroof, Leather, Bluetooth, Back up Camera, One Owner, XM Radio, Bose, ABS brakes, DVD-Audio, Electronic Stability Control, Heated door mirrors, Illuminated entry, Low tire pressure warning, Porsche Communication Management, Remote keyless entry, Traction control. Porsche Approved Certified Pre-Owned Details: * 2 year/Unlimited miles beginning after new car warranty expires or from certified purchase date. Includes Trip Interruption reimbursement * Transferable Warranty (between private parties) * Roadside Assistance * 111 Point Inspection * Warranty Deductible: $0 Bob Moore Auto Group has been a family owned company since the 1950's, founded with the guiding principles of hard work, great customer service, honesty and respect. Our mission is to be a people focused company that values our customer relationships above all. We know you have expectations, and as a car dealer we enjoy the challenge of not only meeting them, but exceeding those standards each and every time. Allow us to demonstrate our commitment to excellence by logging in to Bobmooreporsche.com or call us at (877) 740-8005. **Porsche Certified Pre-Owned**2 Year/Unlimited Warranty**, **Porsche Oklahoma City**, Navigation, 4WD/AWD, Panoramic Sunroof, Leather, Heated Seats, Cooled Seats, Bluetooth, Back up Camera, One Owner, XM Radio, Bose, Black w/Leather Seat Trim w/Alcantara. Porsche Approved Certified Pre-Owned Details: * Warranty Deductible: $0 * 111 Point Inspection * 2 year/Unlimited miles beginning after new car warranty expires or from certified purchase date. Includes Trip Interruption reimbursement * Roadside Assistance * Transferable Warranty (between private parties) Bob Moore Auto Group has been a family owned company since the 1950's, founded with the guiding principles of hard work, great customer service, honesty and respect. Our mission is to be a people focused company that values our customer relationships above all. We know you have expectations, and as a car dealer we enjoy the challenge of not only meeting them, but exceeding those standards each and every time. Allow us to demonstrate our commitment to excellence by logging in to Bobmooreporsche.com or call us at (877) 740-8005. **Porsche Certified Pre-Owned**2 Year/Unlimited Warranty**, **Porsche Oklahoma City**, Navigation, 4WD/AWD, Panoramic Sunroof, Leather, Heated Seats, Cooled Seats, Bluetooth, Back up Camera, Local Trade, One Owner, XM Radio, Bose. Porsche Approved Certified Pre-Owned Details: * Warranty Deductible: $0 * Roadside Assistance * 2 year/Unlimited miles beginning after new car warranty expires or from certified purchase date. Includes Trip Interruption reimbursement * 111 Point Inspection * Transferable Warranty (between private parties) Bob Moore Auto Group has been a family owned company since the 1950's, founded with the guiding principles of hard work, great customer service, honesty and respect. Our mission is to be a people focused company that values our customer relationships above all. We know you have expectations, and as a car dealer we enjoy the challenge of not only meeting them, but exceeding those standards each and every time. Allow us to demonstrate our commitment to excellence by logging in to Bobmooreporsche.com or call us at (877) 740-8005. Priced below KBB Fair Purchase Price! **Porsche Oklahoma City**, Heated Seats, Cooled Seats, Bluetooth, Back up Camera, Blind Spot Monitoring, Local Trade, One Owner, Bose, Sport Chrono Package, LED Headlights, 20" Carrera S Wheels, 2-Zone Automatic Climate Control, Auto Dimming Mirrors w/Integrated Rain Sensor, Bi-Xenon Headlights w/Porsche Dynamic Light System, BOSE Surround Sound System, Light Design Package, Porsche Entry & Drive, Premium Package Plus w/14-Way Sport Seats, Seat Heating, Seat Ventilation, Sport Chrono Package. Bob Moore Auto Group has been a family owned company since the 1950's, founded with the guiding principles of hard work, great customer service, honesty and respect. Our mission is to be a people focused company that values our customer relationships above all. We know you have expectations, and as a car dealer we enjoy the challenge of not only meeting them, but exceeding those standards each and every time. Allow us to demonstrate our commitment to excellence by logging in to Bobmooreporsche.com or call us at (877) 740-8005.